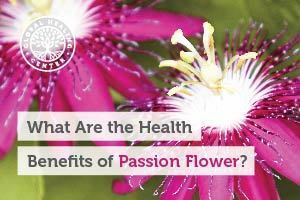 What Are the Health Benefits of Passion Flower? Passion flower is the common name of any one of the approximately 400 species of the plant genus Passiflora. Native to warm climates in North and South America, many species are now cultivated around the world for their colorful flowers and tasty fruit. Passion flower is also known for its therapeutic benefits. 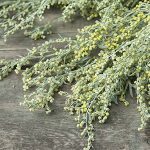 For hundreds of years, people used it as an herbal sedative, stress reducer, sleep aid, and many other applications. Natives of both North and South America used passion flower for food, drink, and therapeutic purposes for hundreds of years before the plant was first introduced to European explorers. By the 18th century, passion flower gained popularity in Europe as a remedy for epilepsy and insomnia. Today, the plant is cultivated worldwide. With a name like “passion flower,” you might think the plant was traditionally used as some sort of aphrodisiac, like horny goat weed. Nothing could be further from the truth. The “passion” in passion flower actually refers to the passion of Christ. In the 15th and 16th centuries, Spanish missionaries in Peru saw the unusual flower as a symbol of the crucifixion. The blue and white colors of the flower were thought to stand for heaven and purity, the radial filaments symbolized the crown of thorns, and the tendrils represented Roman whips. The genus Passiflora contains over 500 different species, many of which are hybrids. Passiflora incarnata is the species most appreciated for its therapeutic benefits. Also known as maypop, P. incarnata is native to the southern United States but used throughout the world. Passiflora edulis is a South American species widely cultivated for its fruit. While many species of Passiflora bear edible fruit, P. edulis is the one that bears “passion fruit.” Passion fruit comes in two forms — the standard purple fruit and a yellow variety. Passiflora alata, also known as wing-stem passion flower or fragrant granadilla, is another South American species. It’s known for its therapeutic applications and prized for its fruit. It’s earned the British Royal Horticultural Society's Award of Garden Merit, a prestigious distinction of excellence in the gardening world. Passiflora quadrangularis, also known as giant granadilla, produces the largest fruits (about the size of a football) of all Passiflora. These fruits are used in desserts, juice, and medicine. The leaves are made into tea and poultices. 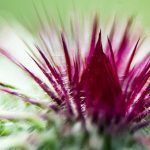 In the United States, passion flower is regarded as alternative or complementary medicine, but it has more mainstream acceptance around the world, particularly in Europe. The plant is listed in the European Pharmacopoeia, a book that provides Europe’s legal and scientific standards for medicine. In Germany, P. incarnata is approved for nervous restlessness, sleeplessness, and anxiety-related gastrointestinal problems. All the above-ground parts of the plant — the stem, flowers, and particularly the leaves — are thought to be helpful. Passion flower is best known for its relaxing and calming effects. Multiple human and animal studies have confirmed it's effective at supporting a balanced mood without harmful side effects. Studies have found that while prescription medications work faster, they also produce problems, including dizziness and job-related impairment. Passion flower is far more gentle. Combining passion flower with other calming herbs can increase its potency. A randomized, placebo-controlled study revealed that a combination of passion flower, valerian, and St. John’s wort had positive effects on mood without causing cognitive impairment. Passion flower is commonly used to support restful sleep and the evidence to support this use isn’t just anecdotal. Multiple studies confirm the plant's ability to help you get a good night’s rest. In 2011, a double-blind investigation found that participants who drank passion flower tea reported better sleep quality than the placebo group. Some studies have found that passion flower extract delays the onset and decreases the duration of involuntary muscle contractions. Interestingly, it also seems to reduce unhappy feelings after involuntary muscle contraction episodes whereas standard treatments tend to increase them. No conclusions can be drawn at this time but further research could uncover hope for those who suffer from involuntary muscle contractions and irregular electrical activity in the brain. Passion flower may provide gentle relief for symptoms of withdrawal. 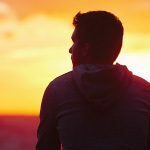 A double-blind, randomized study found that a daily serving of passion flower extract helped address both physical and mental symptoms of withdrawal. What’s more, the extract had no detrimental side effects. Passion flower offers many more potential benefits. A compound isolated from passion flower extract was found to have aphrodisiac effects in mice. 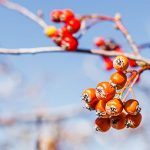 Recent animal testing also hints that P. incarnata promotes balanced blood sugar, a property that traditional Ayurvedic medicine has known for years. Further, research suggests that passion flower could help promote comfort, respiratory health, digestive health, balanced blood sugar, and even attention and focus. [9, 10] Laboratory testing has found that passion flower extract may enhance the absorption and effectiveness of some types of medicine. If even half of these abilities prove effective, the therapeutic benefits could be huge. Different species of passion flower contain similar, but chemically distinct, compounds. With so many species, identifying the exact components that account for passion flower's health benefits can be somewhat difficult. And, despite intense investigation, the source of its calming properties is still up for speculation. One theory attributes credit to a particular alkaloid compound in the plant. The many species of Passiflora contain many different alkaloid compounds and the most studied is harmine. Harmine is a beta-carboline alkaloid known to possess a variety of pharmacological effects. It helps slow the breakdown of neurotransmitters, improves insulin sensitivity, relaxes blood vessels, encourages bone health, and supports a balanced mood. Passion flower is also host to several flavonoids including apigenin, orientin, swertiamarin, quercetin, kaempferol, vitexin, and chrysin. Any one of, or combination of, these phytochemicals could contribute to the plant's therapeutic effects. Flavonoids are a large group of phytochemicals that have been analyzed for neuroprotective activity. They also exhibit soothing, equilibrium-seeking effects. One other possible mechanism of action could be gamma-aminobutyric acid, or GABA. GABA is an inhibitory neurotransmitter, which means that it helps induce relaxation and sleep. It’s produced naturally in the brain. Research finds that passion flower may boost GABA levels and promote relaxation. Due to the variation of passion flower species and methods of passion flower administration, these findings are not yet conclusive. When used as recommended, passion flower is considered safe for most people. However, adverse effects may result from taking extremely large servings. Do not combine passion flower with sedatives like drugs or alcohol. The combination can magnify their effects and cause dizziness or confusion. Pregnant women should also avoid passion flower. One animal study found it may contribute to uterine contractions. Whether this effect carries over to humans is still unknown but exercising caution seems appropriate. Always consult a trusted health care practitioner before starting a new supplement routine. There are several ways to consume passion flower. The fruit can be eaten raw or made into juice, jams, dessert toppings, and smoothies. The leaves, flowers, and stem can be dried or used to make powders, tinctures, infusions, and extracts. Passion flower herbal tea is popular and frequently used as a sleep aid. Passion flower can also be found in nutritional supplements, both by itself and blended with other botanicals. Because of its support for balanced mood, Global Healing Center incorporates passion flower into our brain and mood support supplement NeuroFuzion®. The first Americans knew of the mood-supporting, sleep-enhancing powers of passion flower. Now, we are rediscovering these benefits and more. If you have experience unhappiness or restless sleep, passion flower might be worth a try. Have you tried passion flower? What benefits did you notice? Leave a comment below and share your thoughts. Akhondzadeh, S, et al. “Passionflower in the Treatment of Generalized Anxiety: A Pilot Double-Blind Randomized Controlled Trial with Oxazepam.”>Journal of Clinical Pharmacy and Therapeutics., vol. 26, no. 5, 27 Oct. 2001, pp. 363–7. Accessed 29 Dec. 2016. Dimpfel, Wilfried, et al. “Early Effect of NEURAPAS®balance on Current Source Density (CSD) of Human EEG.”>BMC Psychiatry, vol. 11, no. 1, 2 Aug. 2011. L, Krenn. “[Passion Flower (Passiflora Incarnata L.)--a Reliable Herbal Sedative].” Wiener Medizinische Wochenschrift (1946), vol. 152, no. 15-16, 1 Jan. 2002, pp. 404–406. Accessed 29 Dec. 2016. Ngan, A., and R. Conduit. “A Double-Blind, Placebo-Controlled Investigation of the Effects of Passiflora Incarnata (Passionflower) Herbal Tea on Subjective Sleep Quality.” Phytotherapy Research, vol. 25, no. 8, 3 Feb. 2011, pp. 1153–1159. Braun, Lesley, and Marc Cohen. Herbs and Natural Supplements: An Evidence-Based Guide: Volume 2. Australia, Churchill Livingstone, 21 Nov. 2014. Print. “Passionflower in the Treatment of Opiates Withdrawal: A Double-Blind Randomized Controlled Trial.” Journal of Clinical Pharmacy and Therapeutics., vol. 26, no. 5, 27 Oct. 2001, pp. 369–73. Accessed 29 Dec. 2016. Dhawan, K, et al. “Nicotine Reversal Effects of the Benzoflavone Moiety from Passiflora Incarnata Linneaus in Mice.” Addiction Biology., vol. 7, no. 4, 28 Oct. 2003, pp. 435–41. Accessed 29 Dec. 2016. Breivogel, C, and B Jamerson. “Passion Flower Extract Antagonizes the Expression of Nicotine Locomotor Sensitization in Rats.” Pharmaceutical Biology., vol. 50, no. 10, 10 Aug. 2012, pp. 1310–6. Accessed 29 Dec. 2016. Enna, S. J., and Stata Norton. "Herbal Supplements and the Brain: Understanding Their Health Benefits and Hazards." Upper Saddle River, NJ: FT, 2012. Print. Akhondzadeh, Shahin, et al. “Passiflora Incarnata in the Treatment of Attention-Deficit Hyperactivity Disorder in Children and Adolescents.” Therapy, vol. 2, no. 4, July 2005, pp. 609–614. “Flavonoids.” Linus Pauling Institute: Micronutrient Information Center, Oregon State University, Nov. 2015. Accessed 29 Dec. 2016. Do Antidepressants Affect Gut Health?